I’m pleased to share the results of a pairing that just hatched here at JKR. 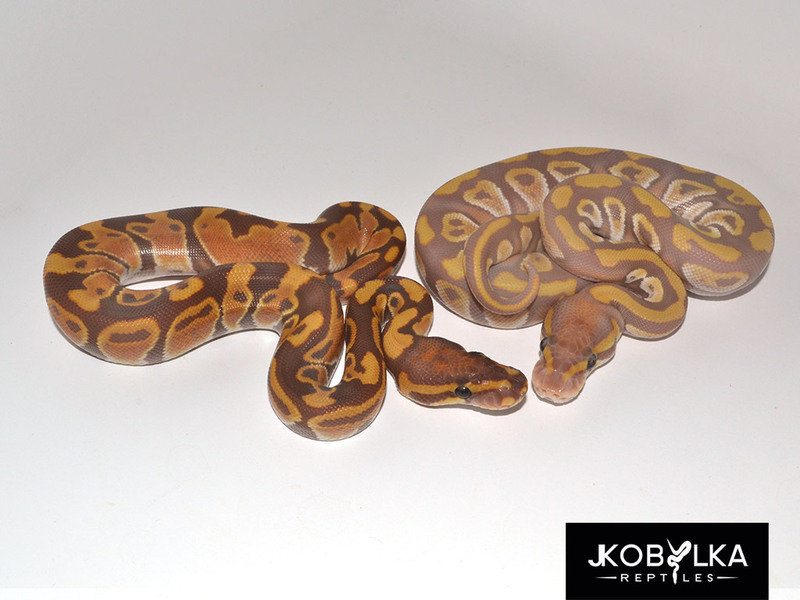 The pairing was Mojave 100% Het Ultramel (Noah line) to a visual Russo / Crider line, (also often called Ultramels). There has been a lot of discussion / disagreement regarding the compatibility of these two similar-looking morphs. The Ultramel name was given to the line originated and exported by Noah in Africa. The 2nd line of animals was introduced by Reptile Industries where it was bred to the Caramel Albino and compatibility was disproven. Eric Crider and Vin Russo received animals from this project from the Bells, which later came to be called Ultramels by many because they appeared to be the same visually. A 2011 pairing of Ultramel x Het Crider was done by Brock Wagner, producing no visuals. Since then I’ve not heard of another pairing to prove compatibility, likely because people have been nervous about wasting their time in light of this initial negative result. 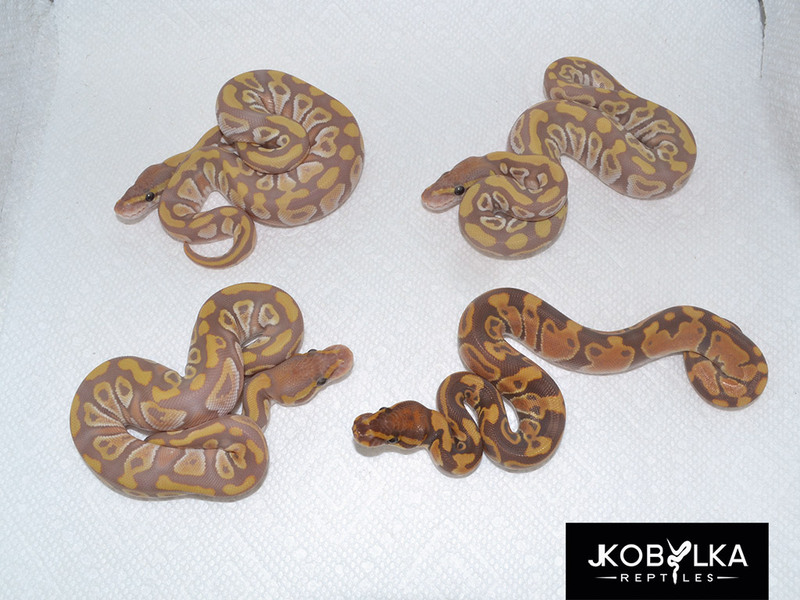 This season (2014) I had a female Russo line visual up to breeding size. As I had no male from the Russo line, I decided to take the compatibility risk. I’m glad I did! Mojave Het Ultramel X Russo / Crider line Ultramel = 1.2 Mojave Ultramels, 1.0 Ultramel, 1.0 Het. 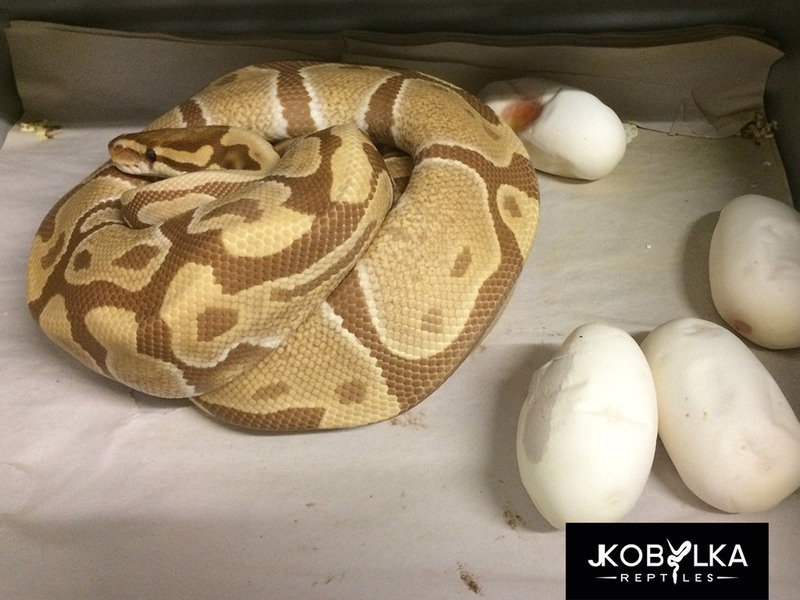 Understanding Allelic Genes in Ball Pythons! Understanding price volatility in co-dom projects. ← Are Piebald Patterns Truly Random? Great information to have, Thank you sir. Wow! I’m glad to hear that there is finally some good demonstrable evidence of the compatibility! Thanks for taking a chance…next year I won’t sweat now…..